Co-author Kari Lie Dorer is an Associate Professor, Chair of the Norwegian Department, and Director of Nordic Studies at St. Olaf College in Northfield, Minnesota. She specializes in the scholarship of teaching, foreign language instruction, curriculum development, the use of technology with language learning, Sámi studies, and Nordic film. Kari completed her Ph.D. studies at the University of Texas at Austin in the Department of Germanic Studies with an emphasis in Applied Linguistics and a minor emphasis in Scandinavian Languages. Kari received her M.A. in Curriculum and Instruction of Second Languages and Cultures from the University of Minnesota and her B.A. in Scandinavian Studies, History, and Political Science from Concordia College in Moorhead, MN. After spending 10 years as a villager at Skogfjorden, the Norwegian language village located in Bemidji, MN, she attended eight study abroad programs, seven of which were in Norway. Previously, she taught Norwegian at the University of Minnesota and the University of Texas at Austin. In addition, Kari taught courses in Scandinavian cooking in the Twin Cities area for 10 years. 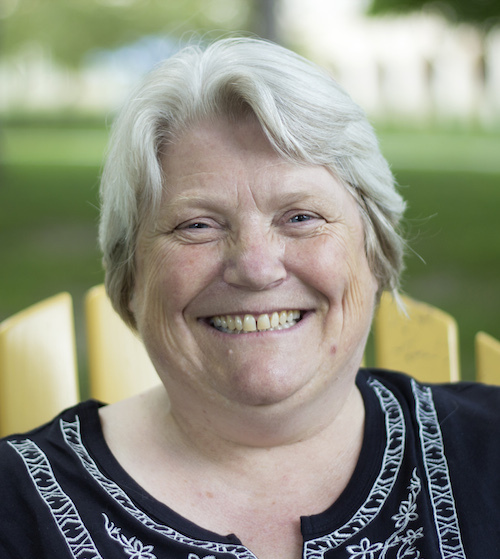 Co-author Nancy Aarsvold retired from St. Olaf College in 2015 after teaching Norwegian for over 25 years at St. Olaf College, Augsburg College, and the University of Minnesota. She specializes in curriculum development, second language acquisition, and integrating technology into language learning. 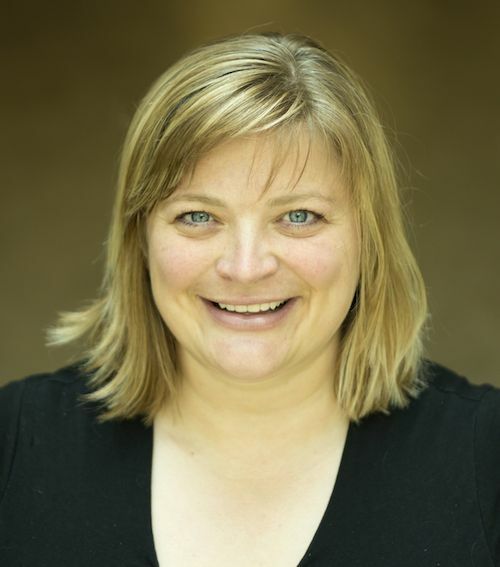 During her last several years at St. Olaf, Nancy served as the Assistant Director of Instructional Technology, providing campuswide leadership in integrating innovative technologies with effective pedagogical and research practices. Nancy received an M.A. in Scandinavian Studies with an emphasis in Curriculum and Instruction from the University of Minnesota and a B.A. in Norwegian and English, plus Secondary Teaching Certification from Pacific Lutheran University in Tacoma, Washington. In addition, she attended the Oslo International Summer School and the University of Oslo and took Diplomprøve i norsk språk og litteratur. Designer Erika Terwilliger received her B.F.A. in Studio Art with distinction at St. Olaf College. After she graduated in 2016, she participated in the fifth-year emerging artist program at St. Olaf. Currently, she is a student in the University of Minnesota’s MFA program where she will continue her work in printmaking, sculpture and ceramics. Designer Laura Moquin received her B.A. in Anthropology and her B.F.A. in Studio Art at the University of Texas at Austin. It was here that she learned Norwegian with Kari Lie Dorer using the very first edition of Sett i gang. Currently, she is a graduate student in Scandinavian Studies at the University of Wisconsin Madison. She has also attended the University of Oslo International Summer School. Designer Chelsey Johnson learned Norwegian at Skogfjorden and the University of Oslo, and spent several summers working for Skogfjorden, including one as dean of the credit abroad program in Sogndal, Norway. She is now an Assistant Professor of English at the College of William & Mary, where she teaches creative writing. Chelsey received an MFA in fiction from the Iowa Writers’ Workshop, where she was a Teaching Writing Fellow, and a Stegner Fellowship from Stanford. Her debut novel Stray City came out with Custom House/ HarperCollins in 2018, and her stories and essays have appeared in Ploughshares, One Story, Ninth Letter, The Rumpus, and NPR’s Selected Shorts, among others. Currently, she is in Los Angeles working on a television project for Hulu.